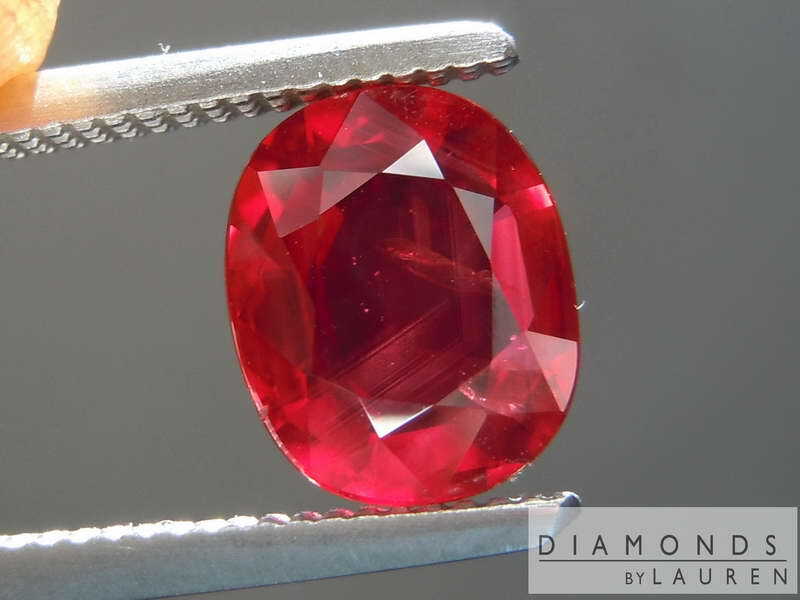 If you love red, consider looking at a ruby. 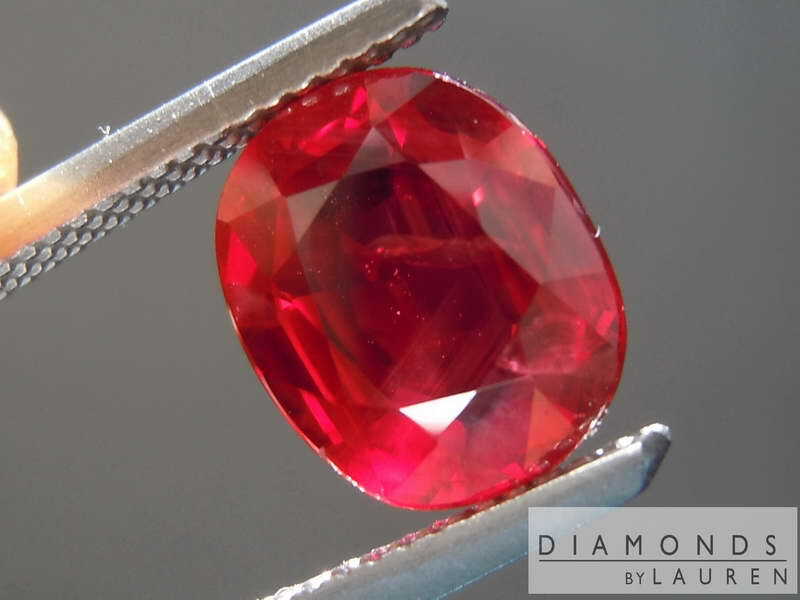 In the case of some Rubies, they can truly have stunning crimson brilliance. 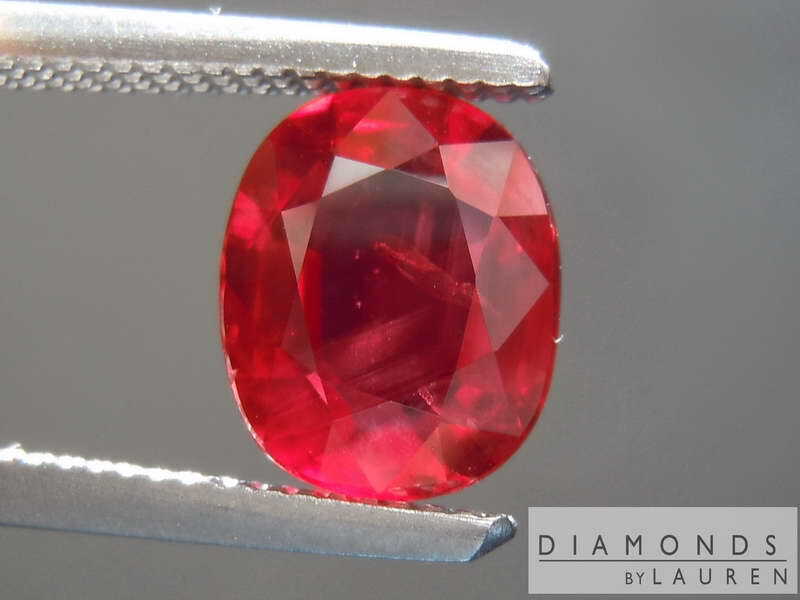 This particular Ruby has an almost candy-like appearance. In pretty much any lighting bright enough too see details of an object the size of this ruby, you're getting amazing cherry sparkles. 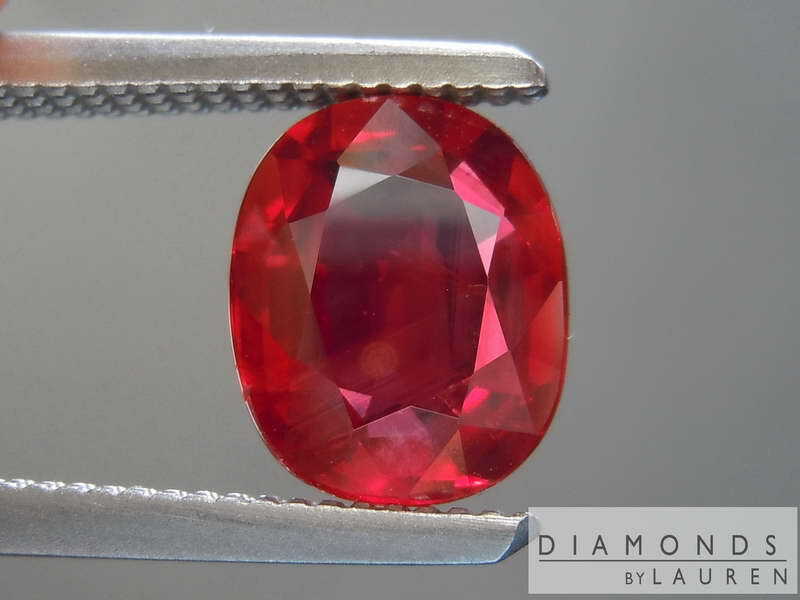 As the GIA report shows, the ruby shows no evidence of heating - which is noteworthy in a stone of this color. You can see the evidence for yourself in the pictures. These shots were taken in super bright lighting and allow us to easily see internal characteristics. These characteristics are simply not visible unless you put the stone under a very bright light. 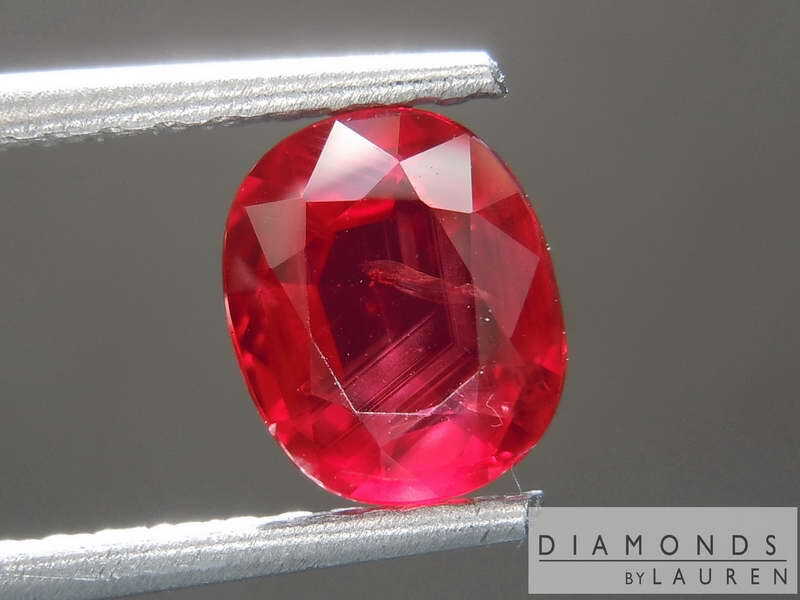 When corundum (rubies or sapphires) is heated, it can "melt" these sort of characteristics. 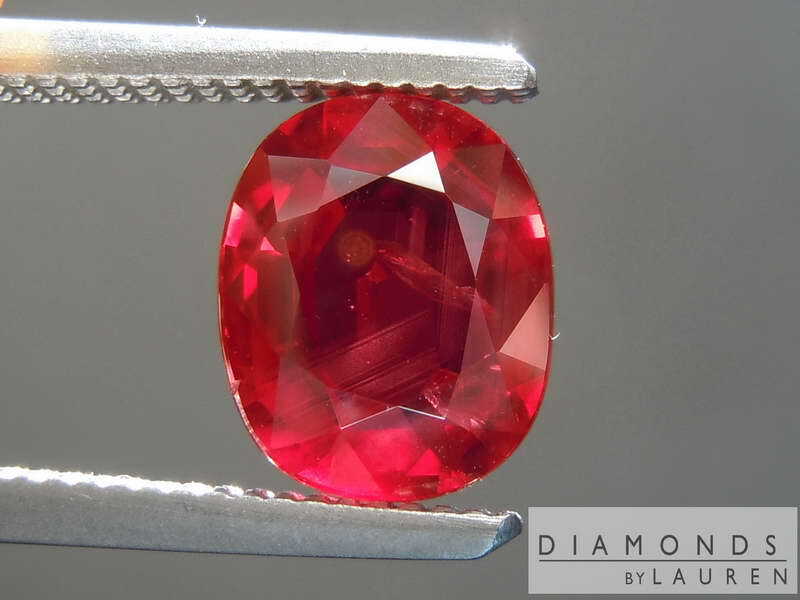 Not that we have anything against heated sapphires or rubies. 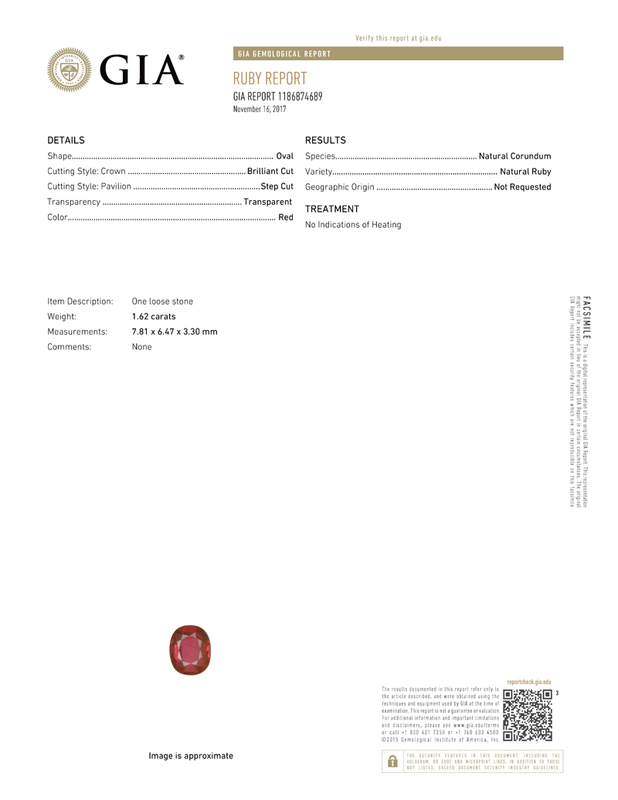 Some buyers are very concerned, which generally makes non-heated stones more costly. Back to this particular stone! Not that this stone is "cheap" but it's nowhere near the top of the market either. The cut is another strong attribute. The stone has a very impressive size for its weight- and there are no windows whatsoever.